Aberdeenshire Roads have tweeted to say the road is now open. 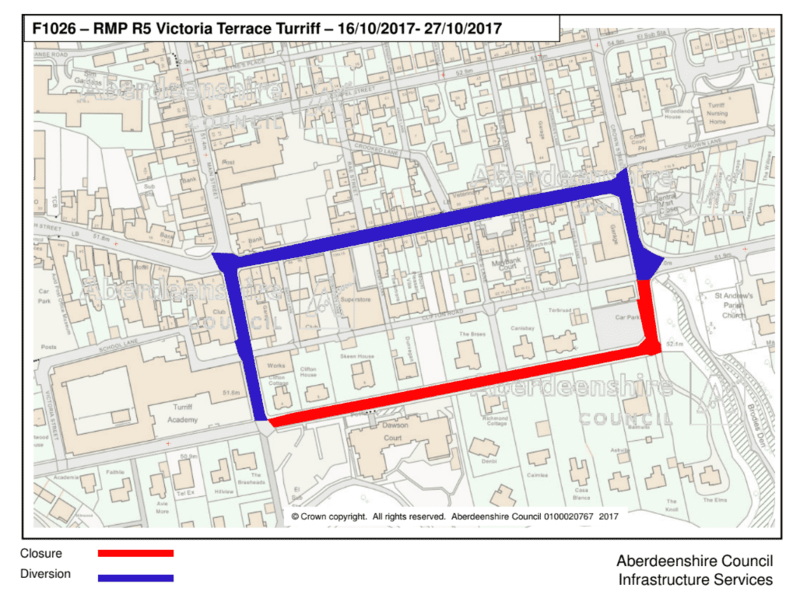 Victoria Terrace will be closed for two weeks from Monday 16 October to allow Aberdeenshire Council to carry out resurfacing works. The closure is from the junction of Schoolhill to the junction with Crown Street. The alternative route will be via Crown Street, Balmellie Street and Schoolhill.